Three Iraqi Yazidi children, kidnapped by Daesh terrorists in 2014, were brought to Turkey's southeastern province Gaziantep on Thursday to be reunited with their families. The children aged 5, 6 and 7 were kidnapped by Daesh in Iraq's Sinjar region and were recovered in Syria. They were brought to the Consulate General of Iraq in Gaziantep which will send them to Baghdad where they will reunite with their families. Speaking at his office, Iraq's Consul General in Gaziantep, Muayad Omer Koperly said an Iraqi national who found the children contacted the consulate. The consulate then contacted authorities in Turkey and Iraq, he added. "We contacted Iraq's Ministry of Foreign Affairs and spoke with the families about how to safely take the children to Iraq," he said. Koperly added that he also spoke with representatives of the Yazidis in Iraq, who came to Gaziantep to accompany the children to Baghdad. The children have been taken to the Gaziantep airport from where they will fly to Baghdad. 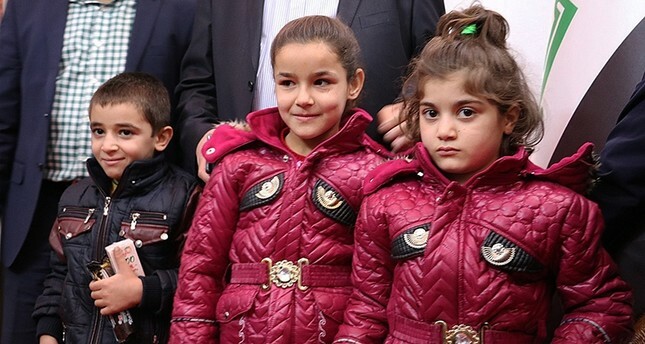 Ali Atalan, a Peoples' Democratic Party (HDP) deputy from Turkey's southeastern Mardin province, said that what had happened to the children was sad but they are happy to reunite with their families. Yazidis are a religious group concentrated largely near the Iraqi city of Mosul and the Sinjar Mountain region. Smaller Yazidi communities can also be found in Turkey, Syria, Iran, Georgia and Armenia. Sinjar is a town located 120 kilometers west of Mosul with an Yazidi Kurdish majority. It fell to Daesh in August 2014. Thousands of Yazidis were forced to flee their homes to the nearby Sinjar Mount where they had been besieged by the militant group before the Peshmerga forces saved them.